Rosario could be divided up in 4 areas and depending on your interest or the weather you could explore a zone in half a day. This is my personal favourite! 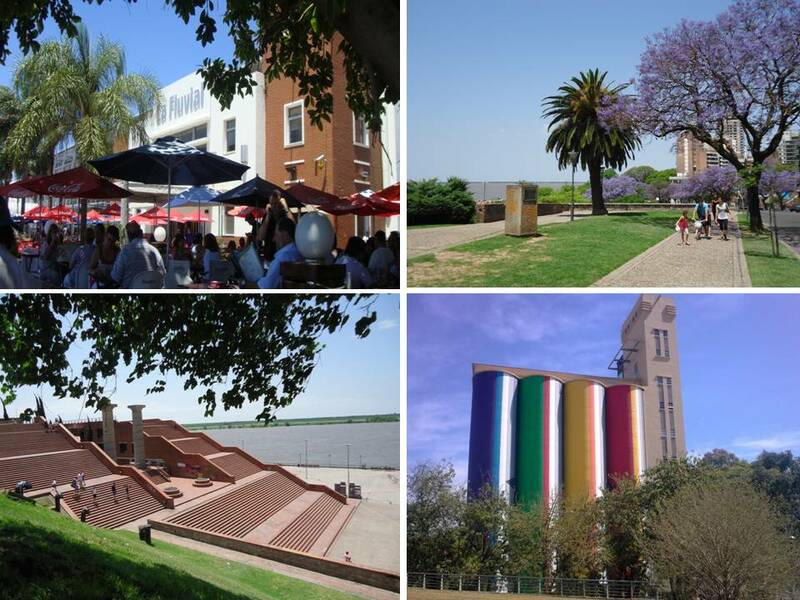 I invite you to discover Rosario and its river. You could start the walk near the National Flag Memorial ( make sure to take the time to go up the Memorial and admire the vast sandbanks across the city), then down to the Fluvial Port. There, you can stop for a quick coffee or a bit to eat at one of the cafes alongside the river. Then follow the river, pass the Tourist Information Centre and the beautiful building of the Customs. Then you will reach the lower part of the Spanish Park and its brand new promenade, complete with the design museum, a children’s play area and an outdoor skating rink. Up the steps will be the upper part of the Spanish Park, with another nice selection of cafes and restaurants (most of the them with terrace overlooking the river), the perfect spot for lunch, for an afternoon drink or a refreshing ice cream. Our walk will finish at the former grain silos ( Silos Davis) transformed into the City Modern Art Museum. It is worth mentioning these 2 nice establishments, Queens River and Davis. It looks really pretty. I wish I had time to go there while I’m in the country. Looks like it gets similarly sunny weather to Mendoza. I’m melting as I write this! Thanks Arianwen! Maybe you’ll have the opportunity to visit in Argentina again and this time maybe spend some days here in Rosario. Best of luck in your travels!